The 2016 regular season was a rollercoaster ride for the Lady Bulldog softball team. Between solid performances at the Southern New Mexico Softball Invitational in Las Cruces and Kristin Griego Tournament in Rio Rancho, there were a pair of losses to Hobbs. Then came a sixth-place finish in their home invite and struggles against Roswell High in District 4-AAAAA play. But first-year head coach Sandra Pulido knew her athletes could do more. They just had to prove it to themselves. Over the course of their two final district double headers, the Lady ‘Dogs did just that. Big 15-0 and 18-2, five-inning wins over Goddard on the road were followed by two more five-inning affairs versus a Lovington team with whom they’d previously split, 13-2 and 14-4. In those wins, the pitching, defense and hitting the Artesia girls had excelled in at various, disjointed times over the year finally came together simultaneously. Now the squad is hoping to keep them that way as they head into the first round of the Class 5A State Tournament. In the single-elimination opening round of state, in which the top eight teams are granted hosting rights, the No. 9 Lady Bulldogs will be heading to No. 8 Moriarty for a 4 p.m. bout today. The winner advances to next week’s double-elimination bracket in Rio Rancho. The Lady Pintos currently stand at 21-5 on the year following an unblemished, 9-0 run through their district, which includes Albuquerque Academy, St. Pius and Grants. Artesia’s schedule was a more challenging one overall than Moriarty’s, but the teams do have a pair of opponents in common in No. 6 Miyamura and No. 14 Espanola Valley. The Lady ‘Dogs fell to Miyamura 4-0 in their 2016 season opener in Las Cruces, while the Pintos were defeated 5-0 April 5. 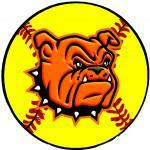 Both teams run-ruled EV, Artesia 12-2 in Rio Rancho and Moriarty 14-3. “They like to run, but with who we have behind the plate, we should be fine,” Pulido said of the Lady Pintos. Artesia catcher Melody Payne has as solid arm, and few teams have been brave enough to steal with abandon versus the Lady ‘Dogs. “We had a good week of practice preparing for what we know they can do, but the girls are going in pretty prepared,” Pulido said. The Lady Bulldogs will enter today’s game with a 15-11 overall record versus a tough slate that included their district competitions against third-ranked Roswell High and 3-1 showing against No. 13 Lovington. “The girls are excited,” said Pulido. “They’re pumped for this game. After talking to a few of them, they feel we’ve finally started to come together and be the team we’ve been talking about all season. Should Artesia emerge victorious, they’ll take on the winner of No. 1 Aztec vs. No. 16 Del Norte at 9 a.m. May 12 at the Cleveland High School Softball Complex in Rio Rancho.